Cancellation Policy: Your card is charged two weeks prior to arrival at Guest House. After this no refund for a cancellation, no show or reduction in numbers is given. Cancellations are allowed given more than 2 weeks notice. Where possible please text us upon arrival to Airport / Ferry Port, our mobile number is 00353872376481. Thank you. 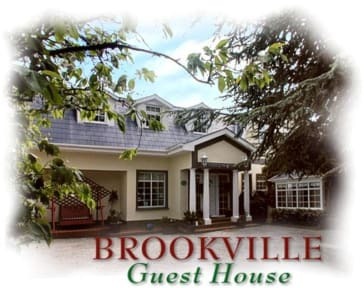 Brookville is a family run Guest House offering a Real Irish Welcome by Liam, Dei, Julie and Claire. We pride ourselves in our very high standards which results in a large number of recommendations and repeat business. We at 'Brookville' strive to give that personal touch that one will not find in a Hotel situation. We at Brookville feel that staying in a large Hotel can be very cold, staid and impersonal and very much the same, whatever country one is in. Because of this we really care and are always here to help, or to extend a real Irish Welcome to one and all.If you want to experience a Real Irish Atmosphere with a bit of craic, Brookville House is the place to stay. 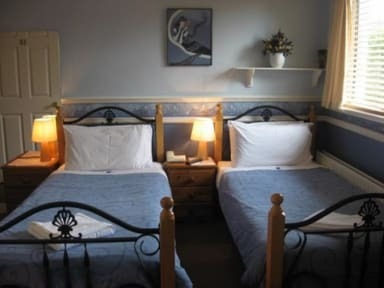 It is a really homely establishment, with great care given to quality and cleanliness, with the personal needs of all Guests looked after, the large number of people that return, year after year, proves that 'the personal touch', does work. * Flat screen TV with integrated DVD player (DVDs including those suitable for very young children are provided free of charge). * WIFI hot spot- Free High-Speed Wireless Broadband Access. * Fridge, Microwave, Iron/Ironing Board, Hairdryer. * Direct Dial Telephone with own individual telephone numbers so that your friends can call you directly in your room. * All local land line calls are free of charge. * Laptop available for Internet access. * Facsimile, copying, printing and word processing available on request. * Study desks and lamps provided for students. *Secure Luggage Storage, Late Checkouts and Laundry Service available on request. We also have a hydrotherapy unit and infrared sauna in our health and relaxation chalet use of which is included in your stay. Other facilities include 2 Large flood-lit private secure car parks, Secluded Picturesque Gardens, Lounge / Reading Room and a Conservatory style Dining Room in which a very substantial Four Course Irish Breakfast is served from 6.30a.m. to 9.00a.m. on weekdays and from 8.00a.m. to 10.00a.m. at weekends. Flexible times available on request. Breakfast costs vary depending on menu selected. Vegetarian, coeliac, diabetic, low fat and low carbohydrate diets catered for. Any other dietary requirements given full consideration. Please advise of any special dietary needs, at time of booking. Tipperary Spring Water (Still and Sparkling) available free of charge. Beans/Mushrooms/Cheese/ Scrambled Egg on Toast. Boiled, Poached or Scrambled Egg. A selection of herbal teas, flavored tea and decaffeinated tea and coffee. A wide choice of jams and marmalades available.